We offer a full range of remodeling services aimed at giving you a positive experience. We strive to provide you with a successful kitchen remodel. These services include painting which will result in a fresh new feel for your kitchen, electrical updates which ensure that your kitchen is up to code, installation of new lighting, installation of new countertops, under mount sinks, cabinetry, appliances and window treatments. Additional services which we provide include laying new flooring. We ensure that your plumbing meets all current industry standards. All of these tasks are carried out under the supervision of an onsite project manager who is present throughout the process. We handle all administrative aspects of the remodeling process including obtaining permits and scheduling inspections. The project manager is present for all inspections to answer any questions which may arise. Lemon Remodeling is the ideal solution for your home remodeling needs. We pride ourselves on being reliable, efficient and professional at all times. References are available upon request. We are excited to help you transform your home into your ideal living space. 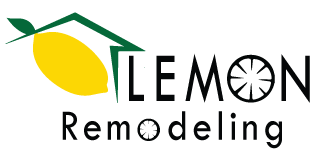 Let Lemon Remodeling help you achieve your perfect kitchen remodel! Contact us to remodel your home and receive a free consultation. We proudly serve our customers in San Jose, Cupertino, Fremont, Palo Alto, Santa Clara, and surrounding areas in North of California.